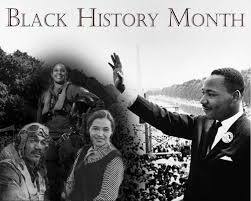 Feb. 1 marks the beginning of Black History Month. This is a time when we as a country reflect on the struggle and achievements that African-Americans endured throughout their history in America. It has been 55 years since Dr. Martin Luther King Jr. gave his infamous “I Have a Dream” speech, and the power behind his words resonates just as strongly to this day. The Civil Rights Movement had an enormous impact on the United States. It brought the best, and the worst, out of all people involved and polarized the already fractured race relations at the time. Many in the movement exhausted every possible resource and many gave their lives in an effort to bring equality to a people who never knew what true freedom was. Through acts of nonviolent protest and widespread organizing and networking, the black community made its voice heard. No matter how hard the fight became, they didn’t stop until their message reached the upper echelons of government. The message of the movement was simple: equality for all, regardless of race. Some of the rights that were demanded in such organized events were equal pay, desegregation of schools and public facilities and the unadulterated right to vote. Many laws such as these were used to marginalize African-Americans and many stemmed from rulings such as the “Plessy v. Ferguson” decision. In the “Plessy v. Ferguson” case, a judge asserted that black people and white people were “separate but equal.” This set the stage for a number of oppressing laws that continued the disfranchisement of black Americans. Such laws, known as Jim Crow laws, kept African-Americans from voting, attending the same schools as whites and even made them drink from separate drinking fountains. As a result of their dedication and constant fight for freedom, the hundreds of thousands of protesters managed to gain the attention of nation’s citizens, multiple presidents and lawmakers. In addition to the support the Civil Rights Movement garnered, there were several laws set into motion to make sure the “American Dream,” and all of its components, was accessible to all people regardless of skin color. In the Jan. 18 issue of The Eagle newspaper, Viewpoints Editor Alex Anderson wrote a provocative, yet accurate article titled “Whites Only.” In her piece, Anderson argued that, regardless of how far we as a nation have come, ensuring equality for all Americans is still an ongoing process, especially for the oft trodden-upon African-American community. While it is true that we have made a great deal of progress, there are still issues within our country needing to be addressed. The climate in which we currently live has become increasingly hostile, and the minorities are the ones who are caught in the crossfire. It is our responsibility to learn from the mistakes of generations past in order to prevent them from happening time and time again. In honor of this month of remembrance and reflection, The Eagle newspaper will dedicate an entire page honoring those groups and people who made sacrifices and changes during the fight for civil rights.